As a worldwide leader in IT, Cisco is a big name that has been helping businesses achieve success through their technology since 1984. These network and security technologies have helped build a solid foundation for businesses around the globe, and they are widely known and respected throughout the business technology industry. 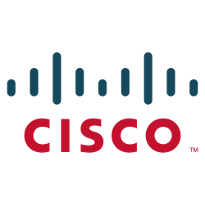 We have had the honor of partnering with Cisco to bring the best solutions to our clients. Your business deserves no less than the best, and when your business is backed by powerful security solutions, it is at its most potent. QuestingHound Technology Partners is certified to equip your business with Cisco products to simplify your network, secure your data, and enhance collaboration in the workplace. Simplify and amplify your network’s capabilities. Your network is the backbone of your business, and without it, your company would surely have a hard time sustaining efficient operations. Therefore, network maintenance and security is crucial to the success of your business. QuestingHound Technology Partners is certified to equip your business with the latest Cisco networking solutions, which can increase user accessibility and application management. Regardless of whether your team is in the office or working in the field, they can stay updated through Cisco’s Unified Access solution from QuestingHound Technology Partners. Your enterprise applications can be integrated into your network, enhancing productivity and streamlining application management. Keep your business’s data safe and sound. Security is a primary concern for most businesses, and your company should think of it the same way. With a comprehensive Cisco security solution from QuestingHound Technology Partners, you can protect your network and systems from outside threats. A healthy and secure IT infrastructure is important to the success of your business. With powerful threats being born every day, Advanced Malware Protection (AMP) solutions from Cisco and QuestingHound Technology Partners can help keep your business safe and sound. AMP is a comprehensive solution designed to protect your company’s data on your network, mobile devices, and even virtual systems. You can be confident that your data is protected by the most effective solutions. Enhance communications both in-house and online. A company intranet can go a long way toward keeping your employees alert and up-to-date on the latest developments both in and out of the office. With Cisco collaboration solutions, your business can stay informed at all times, as well as take advantage of communication-enhancing technology like instant-messaging and video calling. Cisco-certified solutions from QuestingHound Technology Partners are affordable and scalable to your business’s needs, and we work with you to help your company achieve greatness. For more information about how QuestingHound Technology Partners can improve the quality of your network, security, and collaboration, give us a call at 954-727-2200.